The QD Academy after-school program is the prefect complement, and supplement for a child’s regular school education. It not only sharpens concepts learned at regular school, but also teaches more advanced topics, and focuses on helping students learn ahead. 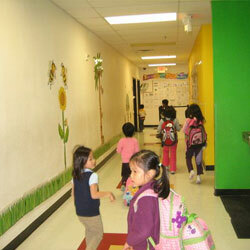 At QD Academy, each student is valued as an individual with unique needs, talents and learning styles. Through our After-School Program, students will receive homework assistancein the core areas based on the daytime curriculum for their grade levels. Furthermore, students are provided with academically challenging programs to promote problem-solving skills and develop ability to think critically. With more opportunities to learn and practice, students will consolidate and enrich their knowledge towards meeting or exceeding grade-level. Academic emphasis on Language Arts, Mathematics, Science, Social Studies, and Chinese is always our top priority. We also make other efforts, including offering many optional classes, to help students in growing into well-rounded individual. Activities for children are organized to give students opportunity to demonstrate their talents, promote communication skills, learn Chinese language and culture and help students to build and raise self esteem and self confidence. We have a good balance of academics and extracurricular activities. Besides core subjects of Language Arts, Mathematics, Science, Social Studies, we also offer many optional classes: Chinese, Critical Thinking, Writing, Speech, Hindi, Physical Education, Table Tennis, Basketball, Drawing, Chess and Kung Fu. The QD Academy Weekend School provides education services to the community and students of all levels, ranging from pre-school to high school, on Sundays to meet the needs of the parents and young students by offering many Language, Math, Culture, Art, and Sports classes. 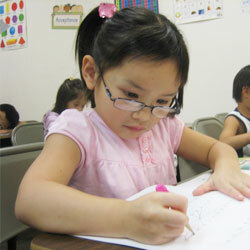 The Chinese language education entails two options: Standard Chinese and Ma LiPing Chinese. Parents can choose either one of these professional programs according to the preference and needs of their children. Standard Chinese (Biao Zhun Zhong Wen, 标准中文) is a complete learning program that begins the child’s Chinese education with Ping Yin. QD Academy utilizes the Standard Chinese books published by the China People’s Educational Press in Beijing. The development of these textbooks focused on the Children of Chinese overseas students, that of overseas Chinese and learners of Chinese from non-Chinese backgrounds. The curriculum is divided into nine levels, with each level having three textbooks, consisting of a regular textbook, an exercise workbook, etc. The books teach vocabulary words, grammar, speaking, listening, writing, and critical reading of the language. This option hits all the points of the Chinese language and ensures a well-rounded language education. Ma Liping Chinese curriculum starts the learning of the language with Chinese characters, Han Zi, instead of the regulation Ping Yin. This "Direct Character Recognition" methodology is a relatively new brainchild of seasoned Chinese language educators in America. The program jumps right into Chinese characters and focuses more on speaking, listening, reading, and the understanding of the language, than on writing. 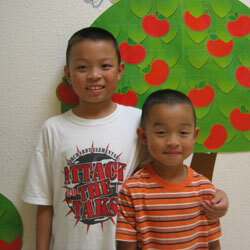 Extracurricular classes: Public Speaking/Leadership Speech, Drawing, Dance, Chess, Basketball, table tennis, and Kung Fu. 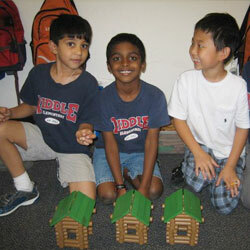 Summer camps are a popular vacation option for children. QD Academy Summer Camp provides a variety of language, mathematics, sports and cultural activities to enrich and entertain the summer vacation of our students. The activities of QD Academy Summer School include Language Arts, Chinese, Social Studies, Science, Map Skill, Geography, PSAT Intensive, Gifted Math, Problem Solving, Critical Thinking, Free PACE or G.T. Prep, Arts, Crafts, Leadership Speech, Story Telling, Chess Tournaments, Kong Fu, Field Trips (movie, bowling, swimming, ice skating, and other educational field Trip), and inside/outside games. In this year, QD Academy is offering optional camps: Table Tennis, Chess, Drawing, Basketball, Lego Fun, Dance, Reading Theater, Art, Music. Through these activities, students will enjoy a full summer of perfectly balanced academic learning, sports, and fun. Time: The club is open from 3pm to 9pm everyday. The QD Academy Table Tennis Club was founded in 2006. The club is led by Mr. Zhongan Wang, the former Head Coach of Gansu Province Team of China. 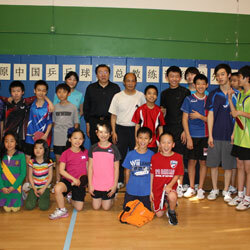 Coach Wang has comprehensive knowledge of table tennis sports, long time training experince and proven success. QD Academy gym provides the best facilities for the club members’ training, practice and match, including spacious venue with hardwood floors, fifteen standard tables, and excellent lighting. The club coaches teach table tennis players of all ages and skill levels, from juniors to adults and from begginers to advanced players. Since its establishment, the club has been very active in promoting the table tennis sports in DFW area and its players have won numerous titles in many regional and national competitions. 1st Place in Boy’s Single, U10Yrs: Yijun Feng. 2nd Place in Boy’s Single, U13Yrs: Yijun Feng. 1st Place in Boy’s U1600: Doudou Yan. 1st Place in Boy’s U1700: Doudou Yan. 3rd Place in Boy’s Single, U10Yrs: He Chen. Top 8 in Boy’s Single, U13Yrs: Doudou Yan. 1st Place in Boy’s Single, U1300: Charles Wang. 2nd Place in Boy’s Single, U10Yrs: Yijun Feng. 3rd Place in Boy’s U1400: Connie Chen. 3rd Place in Boy’s U1300: Brandon Chow. 1st Place in Open: Shuai Wang. 2nd Place in Open: Tom Fang. 1st Place in U2250: Eddie Yang. 1st Place in U2100: Eddie Yang. 1st Place in U1900: Aaron Gu. 3rd Place in U1400: Jessica Wang. 3rd Place in U1300: Jessica Wang. 2nd Place in U1100: Jessica Wang. 1st Place in U800: Jason Li. QD Academy's Holiday Care Program for breaks and holidays, such as Spring Break and the Winter holiday break, QD Academy offers day-care services for students. Academics and enjoyable activities will be provided for students when they are at QD Academy during these breaks and holidays. These holiday care programs serve as an opportunity for students to gain more knowledge and get ahead while still having fun throughout the break. QD Academy offers a wide range of classes suitable for adults and their busy schedules. 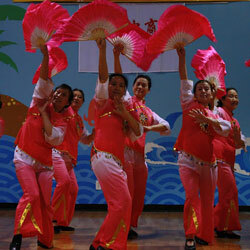 Adults who want to learn a variety of skills, such as Chinese, Chinese calligraphy, Chinese art, computer knowledge, English conversation, or participate in activities such as dance, choir, or Taijiquan (Schattenboxen / skywalker), can find the perfect class at QD Academy. For adults eager to learn Chinese for business or personal purposes, the school has multiple classes at different levels and of diverse styles to suit everyone. Whether to learn a useful skill or just have some fun, QD Academy is the place to register for these wishes. In this class, games replace lectures so that students learn more actively and have numerous opportunities to participate. SMU Summer Camp offered Think and Speak Up for 10 years. Because of the positive feedback SMU received from the campers, SMU Temerlin Advertising Institute, and Communication Studies Department started to offer Think and Speak Up workshops for their undergraduate and graduate school students. TSUP students were chosen to be high school graduation ceremony speakers, essay writing winners, speech contest winners and Student Council leaders. TSUP students were also chosen to be TAs for TSUP international summer camp in China. The founder of TSUP, Dr. Lisa Wang, was interviewed by CCTV multiple times on communication and parenting skills. She is a Judge for CCTV English Speech Competition, also the author of best selling book 《我把美国教育方法带回国》（A Gift from America to Chinese Parents and Teachers）. Two participants per EV3 Robot (Maximum: 20 participants, 4th -6th graders). Learn the basics of robot building with Lego technic parts: chassis and attachment building. 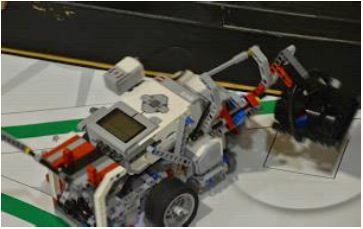 Learn the basics of robotics programming with EV3 software: motors, sensors and advanced topics such as line follower. Practice and refines robotics skills on FLL mission fields from past seasons. Learn from a veteran FLL team (now an Award-winning FTC team, Semifinalist captain team at 1st world championship) and interact with their world class Velocity Vortex and Rover Ruckus Challenge robots. Kids Programming helps children develop problem-solving, critical thinking, logical thinking, independence, self-confidence, and communication skills. These skills will benefit them in all areas of real life. This summer camp program would be getting a “hands-on” understanding of how computer science programming actually works, the subjects are very passionate in teaching the kids, which is recommend to the parents who are looking for their kids to succeed bylearning something really useful, helps young people learn to think creatively, reason systematically, work collaboratively — essential skills for life in the 21st century. We have computer lesson plans for kids in Kindergarten to Grade 12 using our well planned curriculum and resources. Our program follow the software development life cycle which is followed by major IT technology industry, let young learner understand the concepts of programming from their early years. We provide computer. No need to bring your own, just show in class and we provideeverything your child need. We also provide programmable Robot Kit for kid to get hands-on experience about robotics and graphical programming, which is an all-in-one solution for robotics learning and designed for STEM education. Camp will be 9 am - noon from Monday through Friday. The players have 3 hours of quality time to work and their skills are guaranteed to improve after the week! Students will be reinforcing skills we have been working in class and introducing some new skills as well. The coach cannot emphasize enough the importance of fundamentals including ball handling, shooting, fakes, footwork, and decision making to build a solid foundation for young students. Many of the basketball students go on to receive full scholarships to play college basketball. Others are currently playing school basketball in the DFW area. Whether or not the child is interested in playing sports to next level, playing basketball is a healthy way to maintain a well-rounded lifestyle. Lucinda, experienced Latin/Ballroom dance teacher, offers dance class this Summer in QD Academy. For each dance, last class will be the show to dancers' parents and friends. Registration fee $30, waived if tuition paid before May 1st. Bricks 4 Kidz will come to QD for the Summer Camp.This curriculum is to use the LEGO® bricks to stimulate the children’s STEM interest and curiosity while they build the STEM-based models.